About Thomas Trotter is one of Britain’s most widely admired musicians. 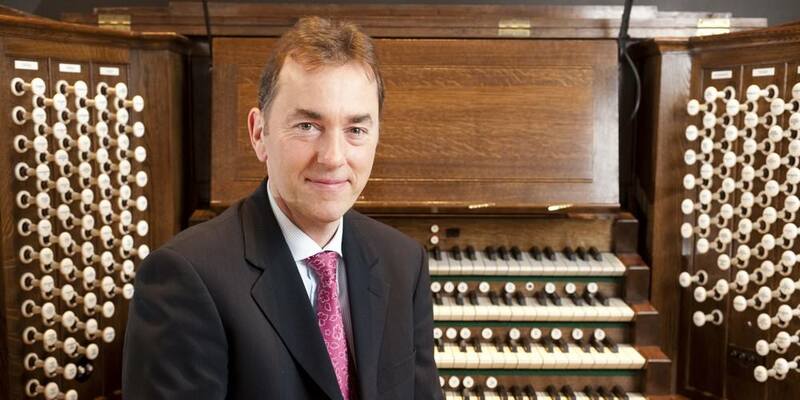 He has been awarded the Royal Philharmonic Society’s prestigious Instrumentalist Award in recognition of his particular achievements as ‘one of the foremost exponents of the organist’s art,’ International Performer of the Year Award for 2012 by the New York City Chapter of the American Guild of Organists and, in 2016, the Royal College of Organists Medal. He has performed as soloist with conductors Sir Simon Rattle, Bernard Haitink, Riccardo Chailly, Valery Gergiev, Sir Charles Mackerras and, amongst many others, succeeding generation’s Jukka-Pekka Saraste, Sakari Oramo, Edward Gardner, Francois-Xavier Roth, Petri Sakari, Andris Nelsons and Thomas Sondergaard. For the FIU Music Festival, he plays FIU’s crown jewel, the Sydell Ida Wertheim Organ. Presented in collaboration with the American Guild of Organists.